Amazon Fresh has a fresh new idea – magic microphones for ordering groceries. It comes with a barcode scanner as well, and if you talk sweetly enough, it’s likely to bring you whatever your heart desire by the very next day. 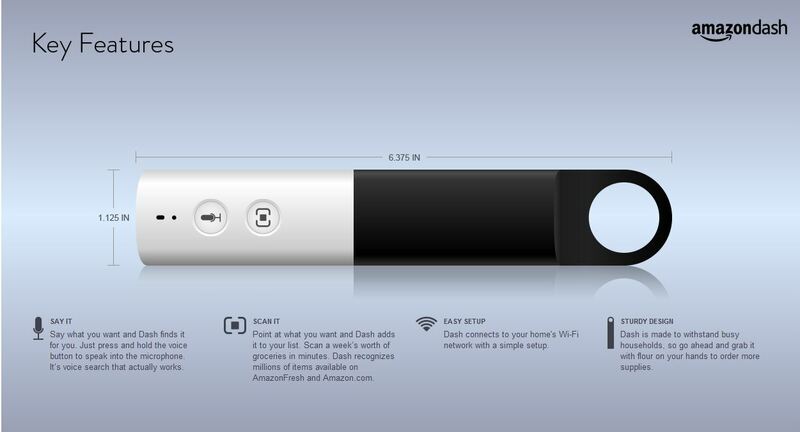 The new device is named Amazon Dash. It’s free and available by invitation only. If you live in the San Francisco Bay Area, Seattle, or LA, you can sign up to be a lucky Dasher on Amazon’s website. Once you get your free Dash wand, you can scan items to make your daily grocery lists, or, you can use voice commands on items without barcodes. Once you have a list of items, you can use Amazon Fresh’s website or app to place your order. It seems a bit superfluous unless you really enjoy scanning things.